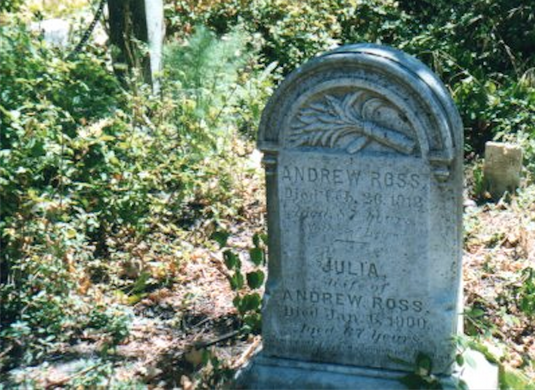 Founded in 1854, the Santa Rosa Rural Cemetery is the final home of whalers, brewers, cattlemen, a survivor of the Centralia Missouri Massacre, and the brother-in-law of General Mariano Vallejo. Veterans from the War of 1812, the Mexican War, the Civil War, and World War I rest here. John Richards, a very popular black barber, helped resettle slaves freed prior to the Civil War. A monument remembers the 75 Santa Rosa victims of the 1906 earthquake. “Doctor Dear,” Santa Rosa’s first female physician, was buried here in 1914. Docents from the Santa Rosa Rural Cemetery Association will be joining us as guides on this special walk organized for the Society by our resident Bay Area tombstone historian, Loren Rhoads, author of Wish You Were Here: Adventures in Cemetery Travel. 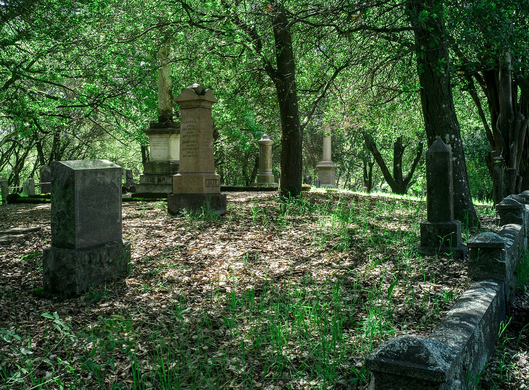 A portion of ticket proceeds from this walk will be donated to the Santa Rosa Rural Cemetery Association to help them continue their work with this historic cemetery. Date: Saturday May 24, noon to 2 p.m.
Meet at the gate at Franklin and Monroe, 1600 Franklin Avenue, Santa Rosa. Tour starts promptly at noon. Please allow time for parking. Wear comfortable shoes for walking and dress in layers suitable for the potentially warm weather. Space is limited. Advance tickets suggested. Walk-up tickets may not be available.